Guys, this is a "gotta have" cap! Structured and low-fitting, these caps are made from jersey material - like your favorite tee - so, they are so comfortable! 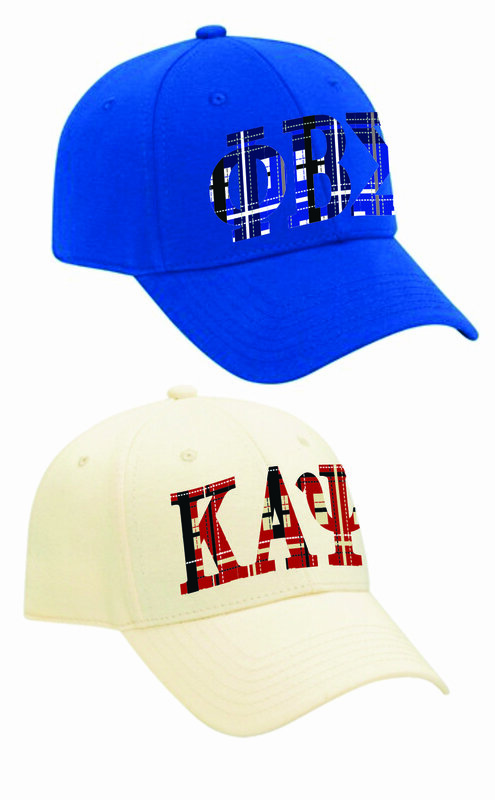 They feature awesome custom plaid twill letters stitched-on, and fully adjustable Velcro closure. Founding year embroidered on left side. Colors listed with organization is the hat color. Starred colors (*) are only available on twill caps.